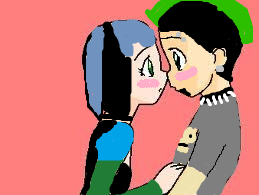 Duncan+Gwen=love. . Wallpaper and background images in the TDI's GwenxDuncan club tagged: gwen duncan love? ?.